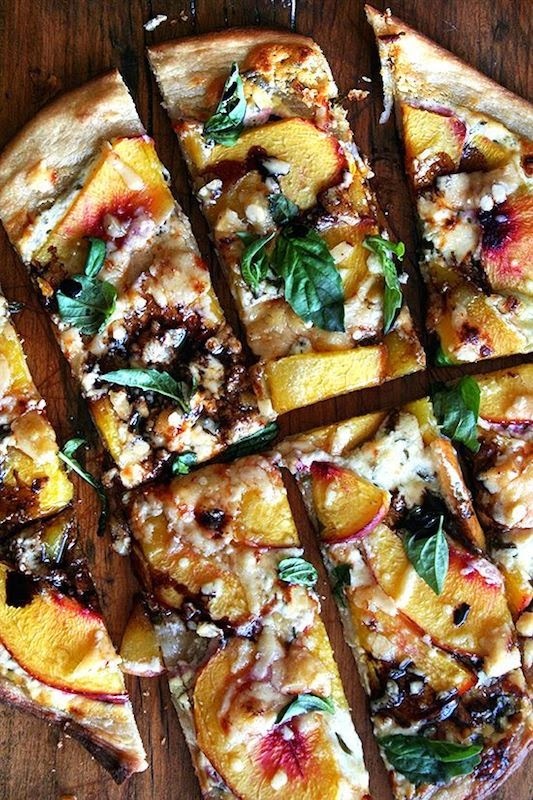 My mouth started watering the minute I laid eyes on this photo of a nectarine, ricotta, basil, and balsamic pizza on pinterest. I knew I had to make it, and so I did. It came out so much better than I thought, though less colorful than the original photo thanks to the nectarines. They could have been a bit more ripe, but baking them sweetened them up just fine. I used my own recipe for the dough, which I will write out below but can also be found here. Place a 1/2 cup of balsamic vinegar in a small sauté pan and turn heat to medium high. Let simmer until reduced and noticeably thick. Remove from heat. 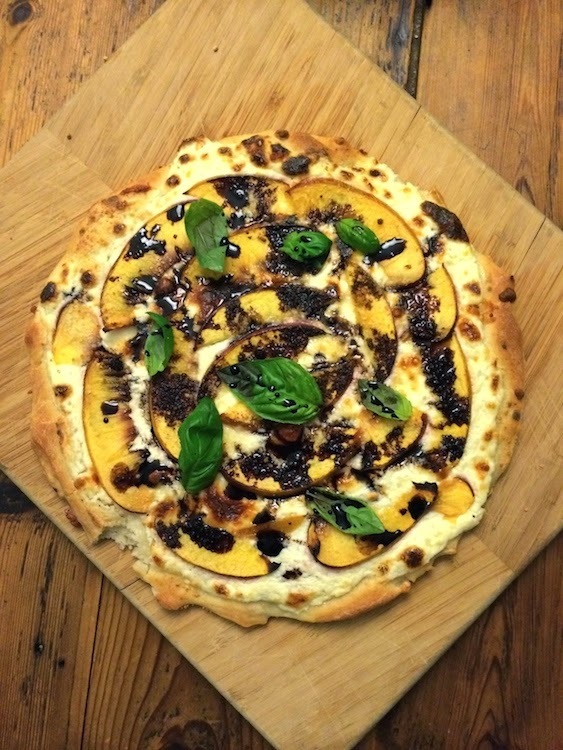 Spread ricotta on dough and arrange nectarine slices. Sprinkle with parmesan and bake pizza at 450 degrees until the edges are golden brown. 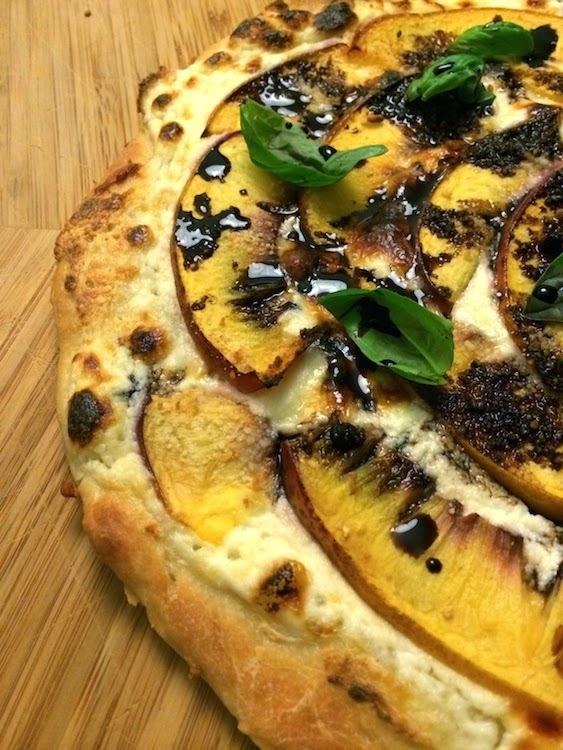 Once out of the oven top with fresh basil and balsamic reduction. 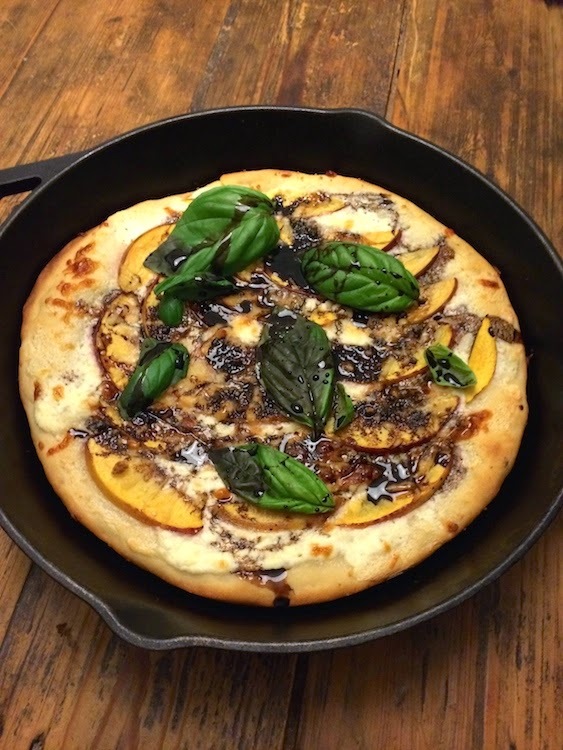 I cannot wait to make this pizza again. It was just as good hot out of the oven as it was cold the next day. 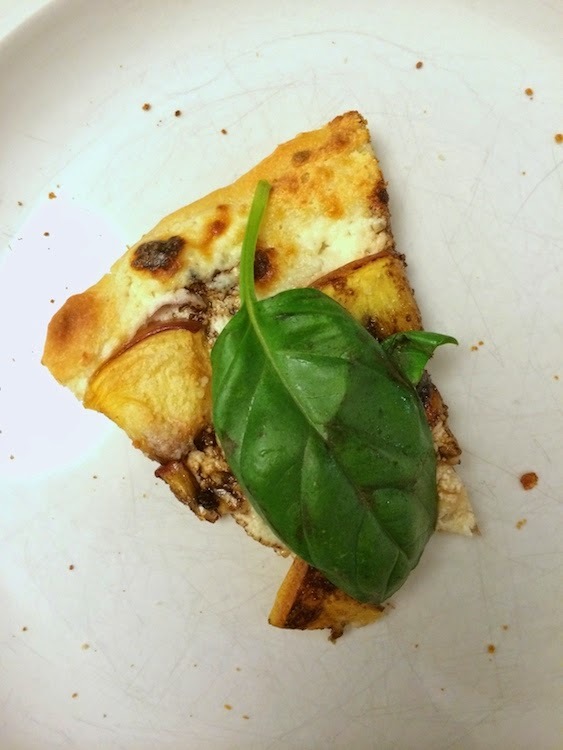 One thing I might change would be to substitute the basil for arugula, but that is purely a personal preference. Oh my I can't wait for nectarine season this looks divine!!! this looks so yummy i will definitely be trying it! !